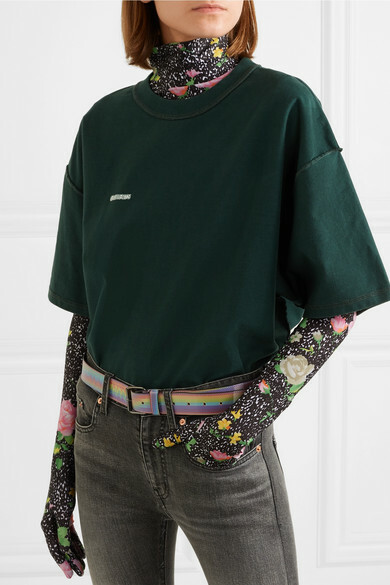 Vetements' eye-catching belt has been made in Italy from glossed-leather. 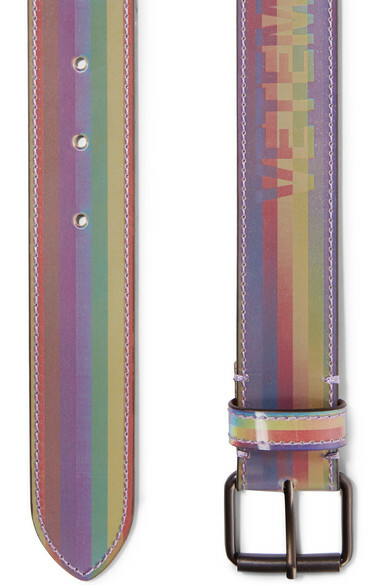 Centered with a gunmetal buckle, it's printed with rainbow stripes and has a holographic logo that shifts when you move. Use it to cinch one of the brand's oversized shirts or freshen up your everyday jeans and tee combination. Shown here with: Vetements T-shirt, Balenciaga Jeans, Vetements Dress, Vetements Sneakers, Vetements Pouches.